I’ve really enjoyed putting this list together. But all good things come to an end, and after yet another travel hiatus, we are at last going to get to the most collectible Sprout item EVER. To recap, the countdown of what I think are the most collectible items looks a lot like this. 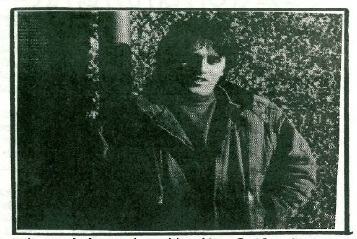 And we can at last reveal that the most collectible Prefab Sprout item is…. 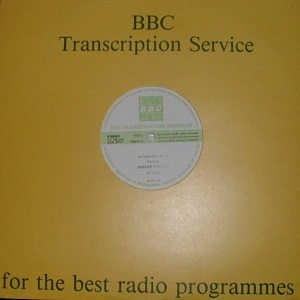 drum roll… cue fanfare… the 1986 BBC In Concert Transcription Disk. This is INCREDIBLY difficult to find. But not impossible, and it was produced in sufficient numbers (probably in the tens or twenties) to make it a collectible rather than a one off. I spent literally years searching for my copy, scouring Ebay, hunting offline and online, emailing people selling other transcription disks on the off chance they were clearing a radio station library and hadn’t quite got to the letter “P”. Nothing. The more you look, the more alluring this object becomes. 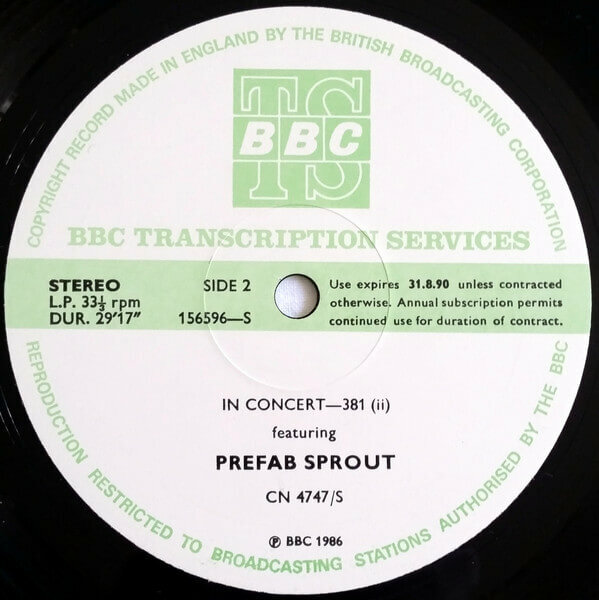 In a plain yellow generic BBC sleeve, green labels (BBC disks without the green label or with coloured vinyl are fakes; Prefab Sprout weren’t famous enough for that to happen), and with many examples of different disks turning up everywhere to whet the appetite. Anyway, eventually Bedford McIntosh sold his copy on Ebay and tipped me the wink. There was quite a bidding frenzy, and I paid some stupid amount for it, a few hundred, but it was finally mine. 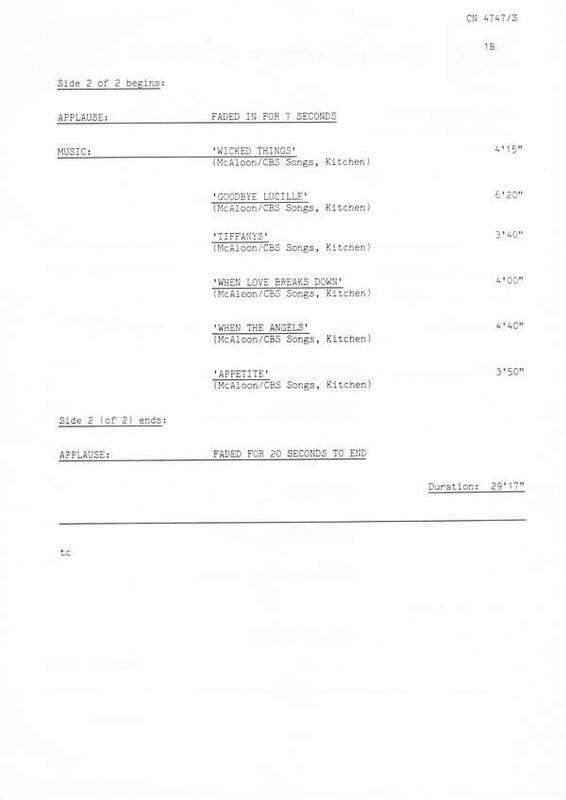 Then Bedford emailed to explain rather ruefully that at some point during storage it seemed that Side 2 had been scratched to buggery. But I went through with the purchase anyway, the object being the thing really, and just where would I find another copy? The answer to that question would come shortly after I’d spent months working on a restoration of the audio, based on a professional transfer and some other tapes from here and there which I could drop in on top of damaged segments. It took absolutely bloody ages, and it was pretty much just as I was leaning metaphorically on my shovel and thinking it was as good as I could get it that another copy turned up on Ebay. 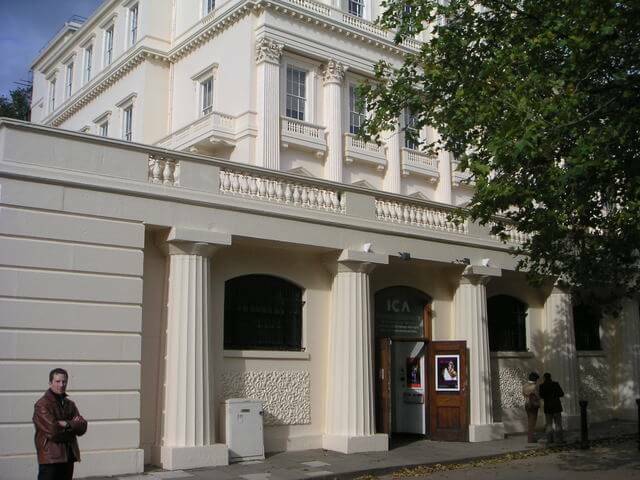 I got this one relatively cheaply, no-one else seemed to notice it. 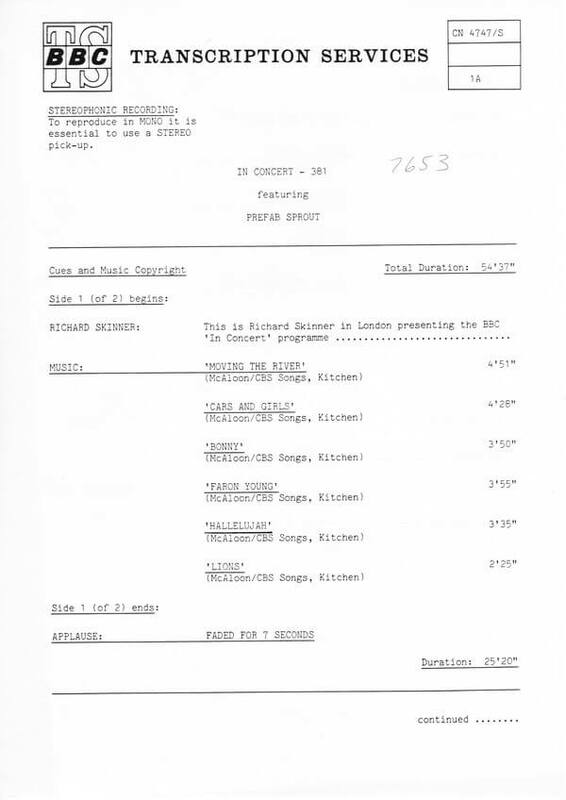 And it was pristine, forming the basis of a hi-res transfer I put on Dimeadozen, carefully combined with “Don’t Sing” from a superb off-air recording of the broadcast – this song wasn’t on the transcription disk. And before anyone asks, I passed the original copy on to a friend who was also a collector in the end, and just kept the second copy. So it’s not impossible to find. As far as I can judge, a couple of different copies have been on Discogs recently. Collections from radio stations do turn up on Ebay. It requires dogged determination and persistence. And you’re going to pay – unless you hit spectacularly lucky – anything between £100 and £500. So what do you get for your money? 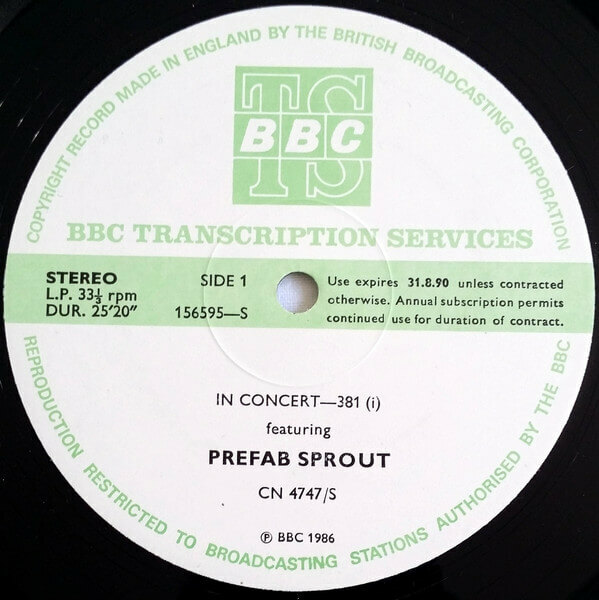 Well, it’s one of the very rarest pieces of Sprout vinyl that has had any sort of commercial release. It is an absolutely fantastic pressing, the BBC really did a great job on these records, unsurprisingly as they were destined to represent BBC productions on foreign stations. It sounds mind-blowingly good – amazing dynamic range, really great punchy live sound. 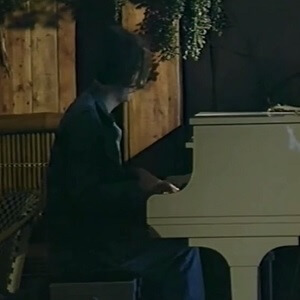 You can hear every burp and pop as Paddy replaces his guitar during the intro to “Goodbye Lucille #1”, and “When the Angels” rocks like stink, especially at the end as the applause comes in. 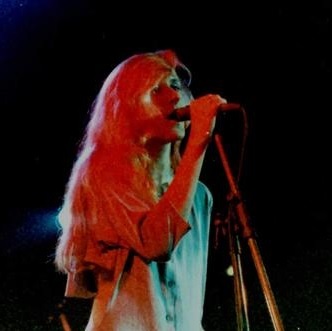 It would be in its own right a great live album, the live album Prefab Sprout never released. Absolutely brilliant, and a worthy number 1.